A little less than 2 weeks till the big day - is your home all decorated for the holidays already? I'm sure you can squeeze in a bit more festive-ness, can't you? 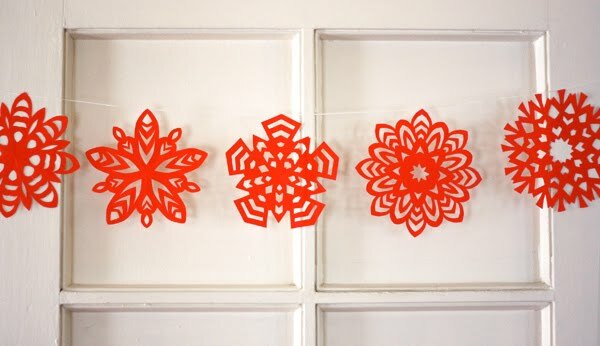 Here are some simple paper ornaments and decorations which we think you still have time for! We might be slightly biased, but all these projects would look smashing created from Japanese washi paper and origami paper! Actually, we have a little stock pile of the origami wreaths and modern paper ornaments crafted from chiyogami in red, black and gold just waiting to be hung. And you might recognize that paper garland from the summer, when we created a version from patterned origami papers and Japanese Animal Balloons! 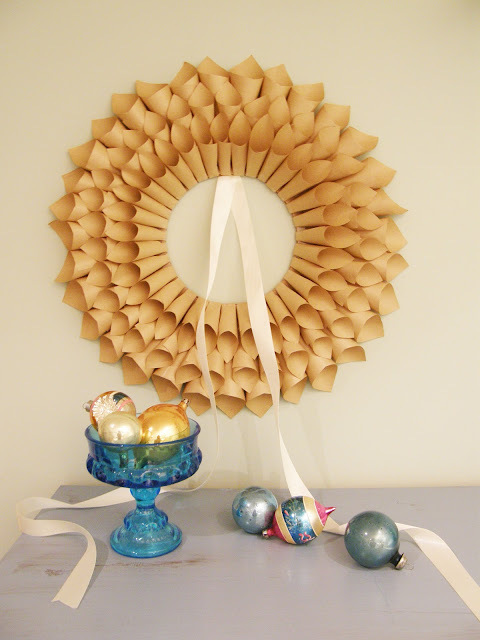 And while you're on the hunt for paper ornaments, don't forget about our Paper Angels over on the Canadian Living Craft Blog! Hello, I liked all of your blog is beautiful congratulations! You gave me a great idea, I have a round punch and was thinking of some crafts to make with it. You could use newspaper (especially Chinese), colorful photos from magazines, old music books, etc.